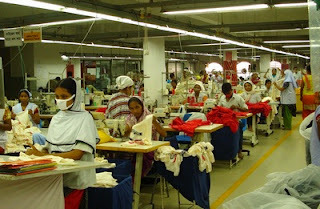 The ready made garment manufacturing processing depends on some steps and techniques.The clothing creation running actions and methods included in the developing outfits for the huge of creation in company time frame for company reasons is known as outfits developing technologies. Garments plants are identified according to their item kinds are as follows: Garments Factory are classified with some dept. When a pattern is made for a particular style with net dimension regarding the basic block along with allowance then it is called working pattern.